France's experience of World War II was not primarily one of armed conflict, but rather of occupation, collaboration, resistance, and persecution. Since the end of the war, France has struggled with how to understand and remember that experience. 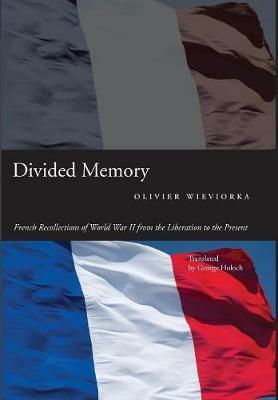 In Divided Memory, Olivier Wieviorka recounts the role that the memory of the Occupation and the Resistance has played in shaping the sense of the past held by various segments of French society. He explores the way in which memory can focus political and social conflict. Each administration since the war has taken a different approach to responding to these memories and has attempted to steer public opinion through them. Charles de Gaulle tried to overwrite Vichy's collaboration by promoting the story of a French military victory over Germany. Others focused on memorializing victims or attempted to forget this painful time altogether. Wieviorka shows that, disparate as they are, none of these approaches have worked, and France remains divided by its memories of resistance and collaboration.